We believe that the Christian community should be full of thoughtful readers. For this reason, we’ve created a book program called The Current Read that encourages not only our students, but others in the Orlando area, to read a book together, discussing the issues it raises and engaging the topic with the author at a “meet the author” event at the culmination of the program. Each fall, the library staff choose a thought-provoking book for the program and plan events to correspond with the reading. When I received notice earlier this year, I jumped at the opportunity. I ordered the current offering and RSVPd for the author meet-and-greet. That event occurred this morning in downtown Orlando. I happened to engage Mr. Douthat while grabbing a bite in the breakfast line. I asked if I could share something personal with him. He obliged. I proceeded to tell him that I read his thought-provoking book during my recent vacation in Idaho. In so many words, I encouraged him with my testimony of just how much wind the read blew into my pastoral sails. His book, along with other means, convicted me more than ever to hunker down and plow on in my role as a pastor of a confessional church in suburban Orlando where much of what he describes does indeed ail the church. He admitted how humbled he felt at such a notion. His autograph signing of my personal copy of Bad Religion revealed as much. Nice. I might have to start reading the New York Times. As I listened to his remarks during breakfast, one thing above all stood out. He spoke very strongly about the need for the church of Jesus Christ in this day and age to do more showing than telling in order to win a hearing about its message. The deficit brought about by the preponderance of heresies masquerading as the real deal has so disenfranchised the average American that now more than ever more than not we have to show folks the real thing before we get to tell them about the real thing. 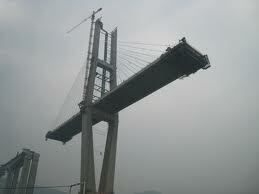 My take away is this: bridge building into the culture is a big deal. Doing things like free-parking outreaches and craft fairs and whatever else we can come up with to connect with those outside the church is something we must make a priority as we continue to strive to bless our city and preach the gospel. 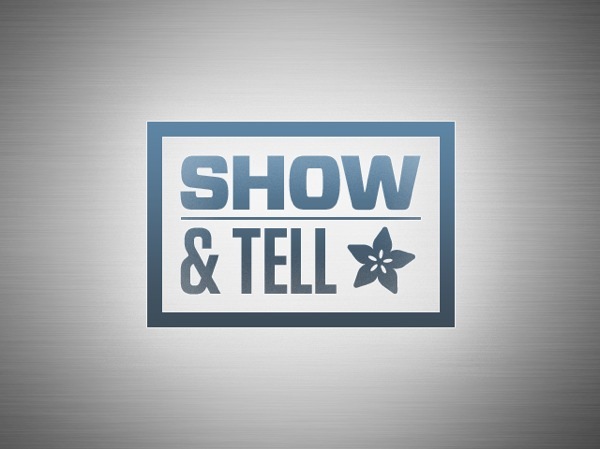 It’s time for show and tell with a heavy emphasis on show so we get to tell when God gives us opportunity. Covenant member at OGC – will you pray for the craft fair? Will you serve at the craft fair? Will you visit the craft fair or if not, will you plan to participate in the next available opportunity you have for bridge-building? Titus 3:1 says to be ready for every good work. Are we? As you know this Sunday brings us to Super Bowl XLVI between the Patriots and Giants. Many plan to watch and enjoy with family and friends. The whole deal has turned into something of a national holiday. For the last several years at OGC we have cooperated with the Christian Service Center of Orlando in conducting a canned food, non-perishable item food drive to help stock their pantry for feeding the hungry in Orange County. We want to continue that tradition this year but with a twist. Given the fact that our friends at the SDA have started this year operating a soup kitchen for feeding the hungry every Sunday afternoon, we have decided to donate this year’s offerings from our church to them. We want to say thank you for their hospitality in renting to us over the years. Furthermore we feel this represents a legitimate way for us to partner with them in mercy ministry in our very own neighborhood. All that to say, as I announced yesterday, please bring to church with you this Sunday, February 5, your gift of such items for the cause. But here’s the thing! Please don’t bring any meat products. The Adventists, in line with their convictions, will only accept vegetarian, non-meat items. The list they gave us includes things like beans, rice, pastas, cereal, oil, pancake mix, etc. You get the idea. We will designate a spot at the SDA this Sunday for you to put your items as you bring them with you. Just look for the sign. And thanks for being a church that puts Titus 3:14 into practice! If you think I’m referring to the big game tomorrow night, think again. In my mind the significance of Super Bowl XLV pales in comparison to the day before us at Orlando Grace tomorrow. In the first place, we get to practice Titus 3:14 – And let our people learn to devote themselves to good works, so as to help cases of urgent need, and not be unfruitful. Hunger, particularly in these tough economic times, is always an urgent need. Every year on Super Bowl Sunday, the Christian Service Center of Orlando petitions the churches of this city to collect non-perishable food items to help restock their food pantry for feeding the hungry. Have you pulled your items from the shelf yet? The deacons will have a designated spot in the entry way tomorrow for you to leave your offering. Let us do justice, love mercy and walk humbly with our God (Micah 6:8) as Evan reminded us so well in last week’s message. In the second place, we get to break ground for our facility (pray for good weather)! At 3 PM tomorrow afternoon we will participate in a service of worship on our property for giving the construction project of our church over to God. After the turning of the soil, those who call OGC their church home will bring soil from their own households to put in the hole symbolic of each one’s investment in this kingdom enterprise. Have you dug up your bit of ground yet? That’s ours in the baggie on the right. As some of us put the finishing touches on prepping the property this morning for the ceremony, we mentioned numerous times our growing sense of excitement at the historic day and process before us. We will really get to do this, if God continues to give us favor! Will you join with me this evening and throughout the day tomorrow that God will be glorified in all we say and do and that our joy will grow as we embrace the challenge He has put before us? Watch with me tomorrow and throughout the rest of the year as He will do immeasurably beyond all that we ask or think (Eph. 3:20-21)!